When you stand in this place, there is no question that you are at the edge. Miss your step and you will plummet 150 feet or so before you catch the next one. If you survive the drop and start swimming southward, you won’t hit land until you reach Bermuda (if you are lucky) or maybe Puerto Rico (if you are less lucky). 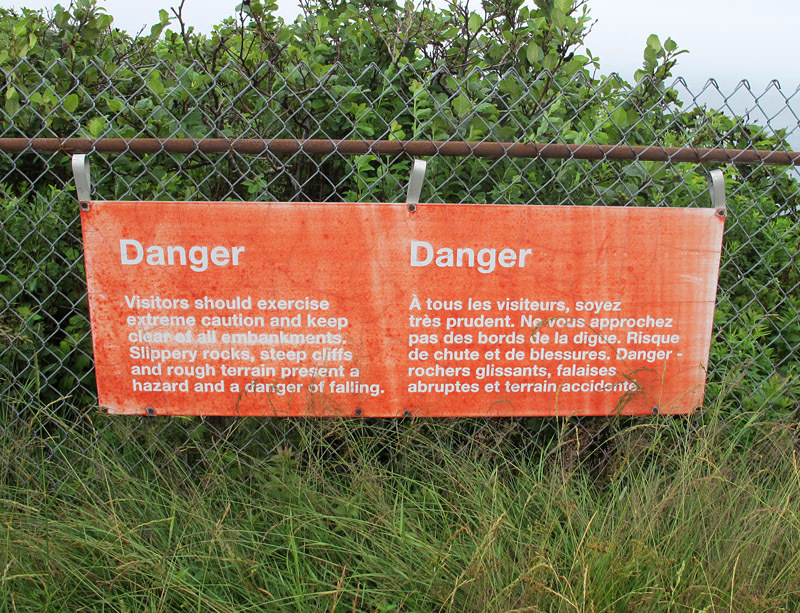 Geologically, too, this place is rather edgy. 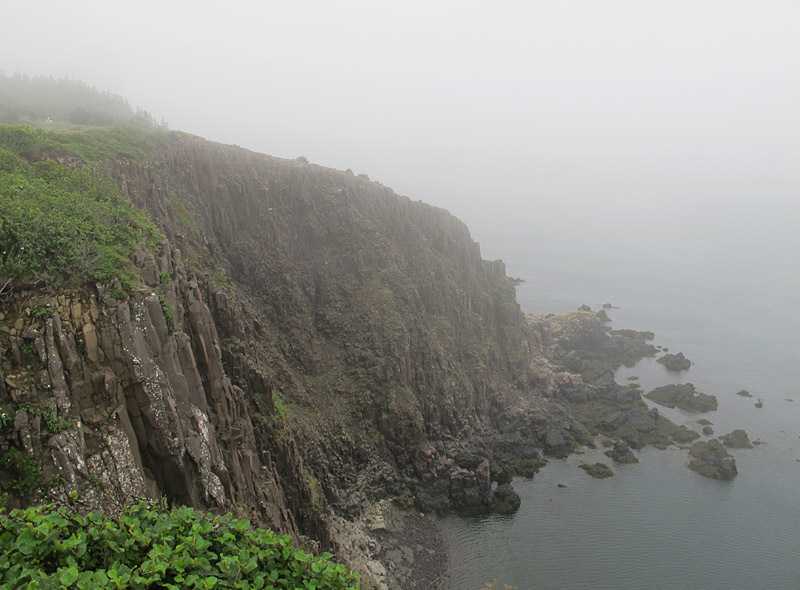 The fabulous columnar bedrock dates from a time that was right at the margins; at 201 million years old, the Dark Harbour Member of the Grand Manan Basalt sits almost precisely at the boundary between the Triassic and Jurassic Periods (the boundary is currently dated at 201.3 Ma). 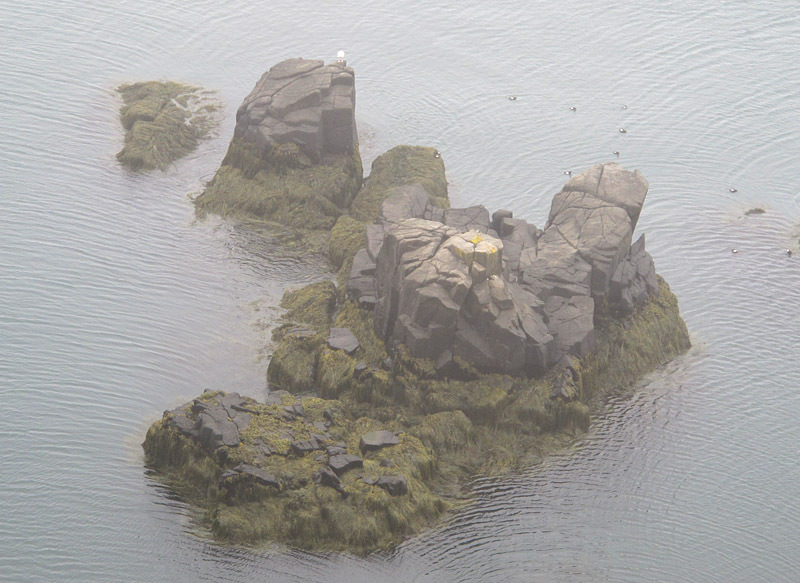 The Grand Manan Basalt is part of the same unit as the North Mountain Basalt, a remarkably extensive formation that underlies the bay as well as making up the Nova Scotia shore from Cape Blomidon to Brier Island. 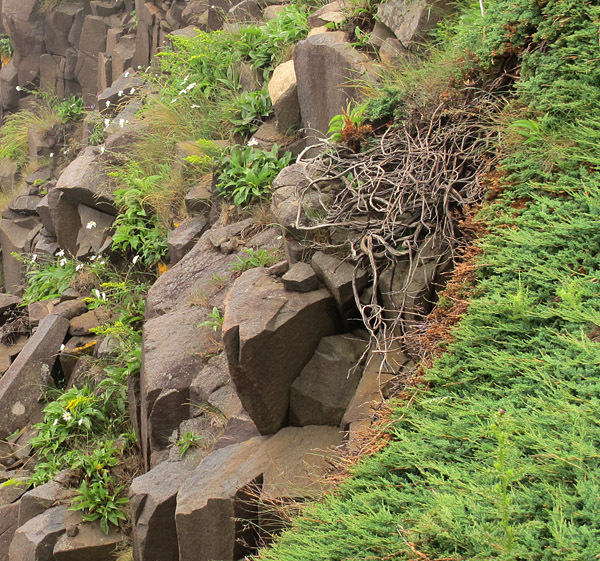 These basalts date from a time of tremendous global change. The ancient supercontinent of Pangaea had formed about 300 million years ago. When it began to split apart a hundred million years later, the crust was stretched and rift valleys developed in various places. 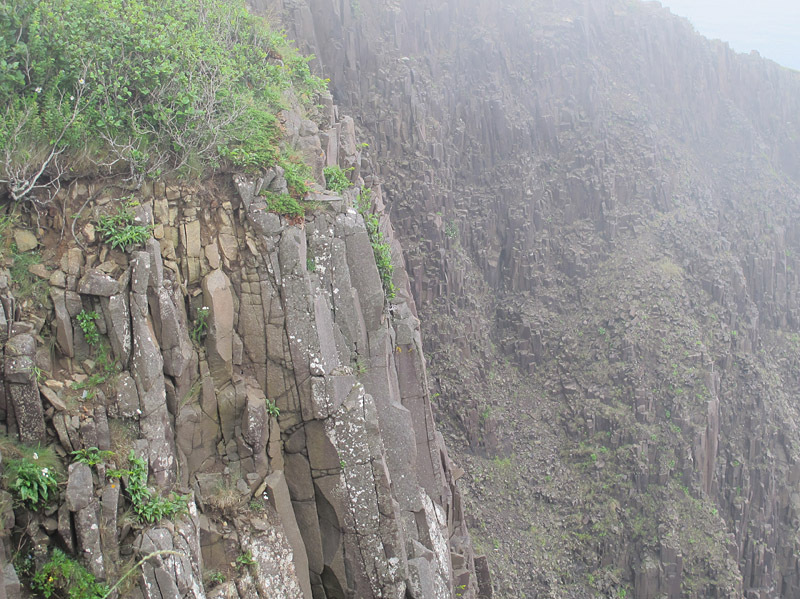 The Fundy Basin formed along one of those rift valley systems, and immense lava flows were associated with the rifting. Basalts, including those at Southwest Head, are the crystallized evidence of the very different place this was 200 million years ago. 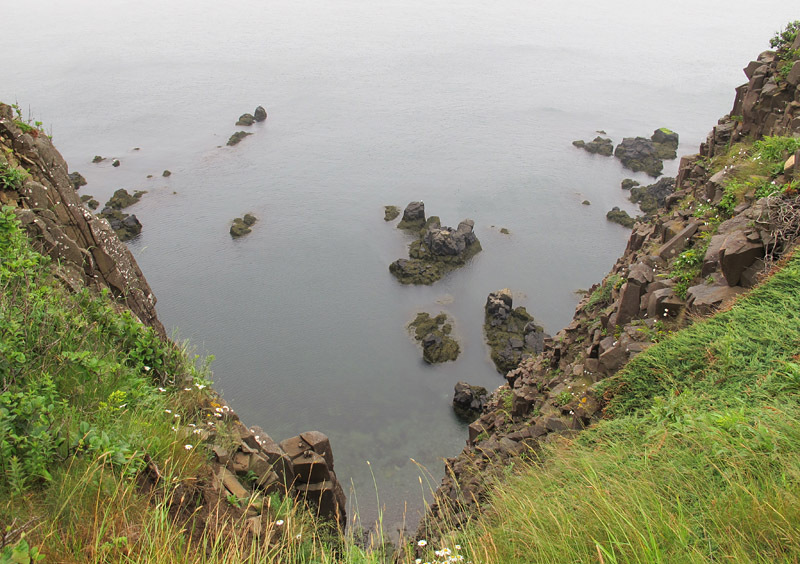 As it turned out, the rifting in what is now Fundy only went far enough to produce this dramatic bay. It was other rifts, to the south and east, that really split Pangaea apart to produce the Atlantic Ocean. 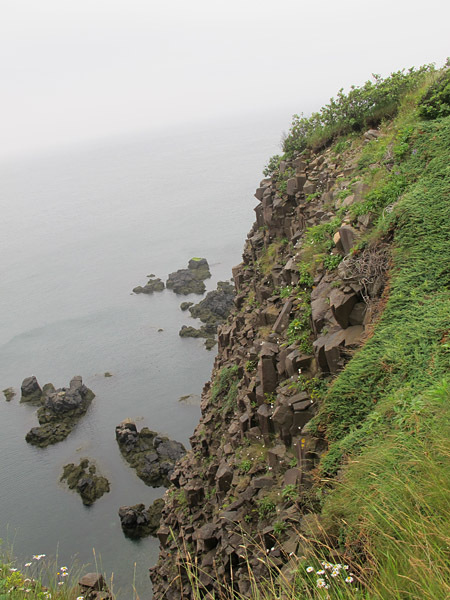 Here at Southwest Head, we can stand on the Fundy basalts and contemplate that seemingly endless ocean. It is humbling to consider that, when these rocks were still-cooling lava, the infant Atlantic might have been narrow enough to swim across. The edge! In assembling this little piece, I was assisted by the excellent book The Last Billion Years, which describes the geological history of the Atlantic Provinces. Any errors of fact or interpretation are, however, totally my own.